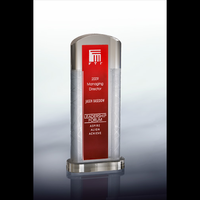 Scroll down for a fabulous selection of unique Leadership Trophies and Corporate Awards in a variety of styles. Each leadership and corporate trophy includes free engraving! 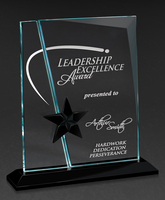 Summit Leadership & Business AwardsAvailable in 3 sizes. 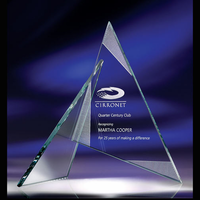 Unique C-Note Award with Blue AccentsAvailable in 3 sizes. 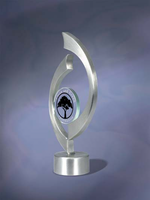 Stainless Power & Beauty Award (Silver)Available in 2 sizes! 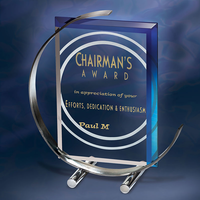 Corporate Champion Custom AwardHolds a custom disc with your company logo! Excelsior Corporate & Business AwardsA contemporary classic! Unique Perpetual Name Plaque Slate AwardAvailable in 2 sizes. 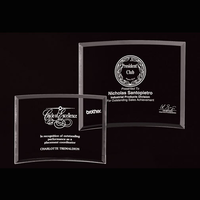 Cast Business AwardsThese striking engraved awards combine contrasting, yet contemporary finishes. Partners In Success Teamwork AwardsFree personalization! 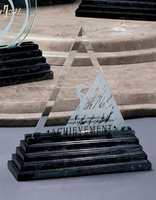 We have many unique corporate trophies to choose from, but two very popular ones are the Envision Awards and Slate Ace Awards. 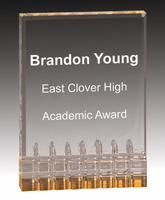 If you prefer something a bit different, also see our Acrylic Awards, and our Crystal Cups, Bowls and Vases. 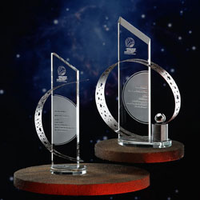 If you are looking to buy corporate awards online, look no further! TrophyCentral has a large variety that will fit any budget, all at discounted prices. Our top-rated representatives are happy to assist you with all of your needs. Our experts in New York, Michigan and online have been providing guidance since 1999!